By Luke Carry | April 30, 2013. The county of Meath, commonly known as the “Royal” County is one of Ireland’s leading tourist sites for heritage. Meath boasts a number of tourist destinations for the culture or history lover. The Royal County offers a chance to get back to basics with nature and the ancient celtic world. 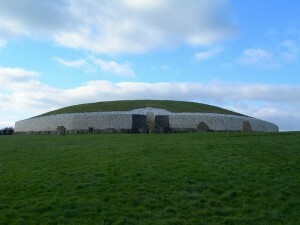 The Newgrange monument alone draws in hundreds of thousands of intentional tourists each year, with the number of homegrown visitors growing in tandem with the economic decline. However although Meath may be Ireland’s heritage capital, it is also home to some of the best leisure facilities in the country, boasting some of the country’s top Golf Courses such as Headfort Golf course 36 hole course, along with family attractions such as Tayto Park just outside of Ashbourne and Grove Gardens open farm and Tropical Gardens, Fordstown. Meath is the perfect getaway for any aspiring golfer, home to numerous golf courses including the luxurious Killeen Castle, which hosted the 2011 Solheim cup, on its Jack Nicklaus designed golf course. The only catch, the price. Playing at such a prestigious golf course is costly and Killeen Castle is no different. While €65 for a round of golf may be reasonable to some, there are numerous cheaper alternatives available in Meath. The Headfort Golf club in Kells, which has been ranked within the top 15 in Ireland, will cost approximately €35 per person. While Bellewstown Golf course offer a mid week special of €15 or €20 at weekends and public holidays. For something a bit more fast paced, Meath offers the Irish Aquatic Sports Centre in Summerhill, where visitors can take part in wakeboarding or water-skiing. The centre caters for all types of parties, from Hen nights and Stag dos to seasoned pros. The cost isn’t too crippling either, with a single day out costing €30 each or €130 for a group of Five. The Loughcrew adventure course in Oldcastle also caters for those looking to get the blood pumping. The course provides kayaking and abseiling to provide for any level of athlete. For the amateur survivalists the course also provides for overnight camping stays, where visitors make their own campsites and get in touch with their wild side. However Meath is mostly about getting back to your roots, and what better way to do it than by taking the walking historical tour of Trim. The tour takes in the famous Trim Castle, which was used in the filming of Braveheart, along with other historic aspects of the town. The tour is free and runs daily. Other towns in Meath also offer free walking tours, such as the monastic town of Kells, home to Five High crosses and the finding place of the Book of Kells. Meaths main attraction remains Newgrange monument. Newgrange is an ancient burial tomb which has survived the test of time. It is one of the most well preserved pre-christian monuments left in this country. Newgrange tours can be booked from the Bru na Boinne visitor centre and will cost no more than €10 per person and even less for children. A certified UNESCO heritage site, Newgrange and the rest of the Bru na Boinne centre is the perfect destination for anyone with an interest in early Irish history. Accommodation in Meath is also relatively cheap, with most towns being home to a number of B&Bs or Hotels for a more deluxe stay. Image: Shira on Wikicommons. CC-BY-SA-3.0-migrated. CC-BY-2.5-PL.